Powered by Barclaycard’s bPay technology, the new Clever Cup allows you to pay for your brew without having to reach for your wallet or phone. The launch follows Costa Coffee’s pledge in April to recycle 500m takeaway cups by 2020. Here, we take a look at how the Clever Cup works and whether it’s worth the investment. How does the Clever Cup work? 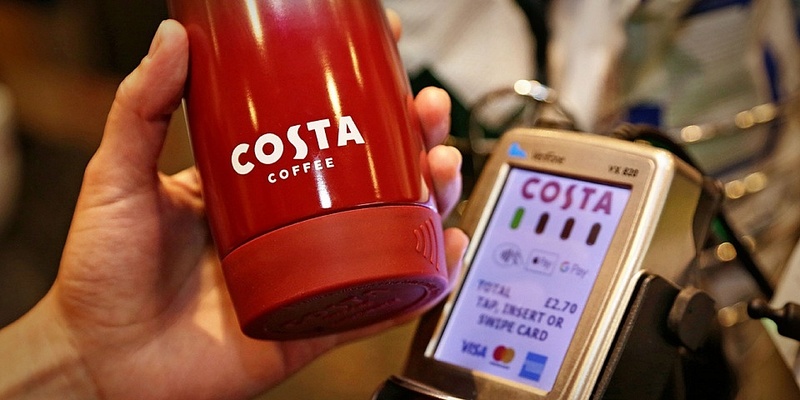 The Costa Coffee Clever Cup is powered by bPay technology and aims to turn a reusable coffee cup into a fast and convenient way to pay. The cup comes with a bPay chip that you insert into its removable silicone base. To use the cup, you’ll need to download the bPay app onto your phone and register your bPay chip to the app. Once registered, the chip acts like a prepaid account, which you can top with a Visa or MasterCard debit or credit card using the app. You can make contactless payments of up to £30 per transaction using the Clever Cup and track the payments you make through the bPay app too. Plus, bPay has a return feature which means you can put money back on the card that you topped your account up with. You don’t need to be a Barclaycard customer to use bPay and your Clever Cup can be used anywhere that accepts contactless payments. How easy is it to use the Clever Cup? The Costa Coffee Clever Cup is relatively easy to use but we did run into some complications when taking it for a test run. We decided to try out the cup at a London Underground tube station, to try to see how it would fare during a commute. At tube stations in London, it’s possible to use a contactless credit or debit card, or your phone, to enter a station by tapping it on the yellow card reader at the barriers. When trying to get into the station we found the plastic cover, which secures the chip in place, blocked the contactless signal being picked up by the reader, as a result, we weren’t able to get through. Once we removed the plastic cover, however, the signal was picked up and it was possible to enter the station. Not having the chip secured meant it moved around in the base of the cup; making it tricky to pay for things quickly. This is because you had to touch different parts of the cup onto a contactless reader so that the signal could be picked up for a payment to go through successfully. 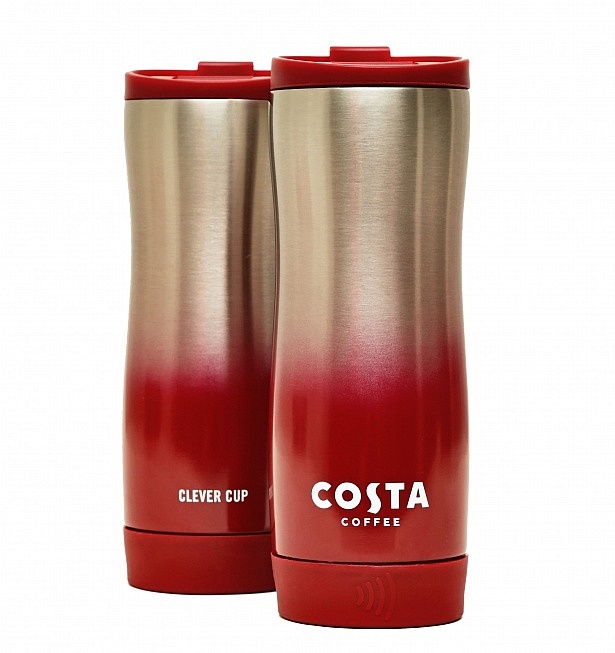 The Costa Coffee Clever Cup has been priced at £14.99 and is now available to buy at all Costa Coffee outlets across the UK. A £1 donation from every sale goes to The Costa Foundation, an independent charity that aims to relieve poverty in coffee-growing communities. Find out more: what is Samsung Pay? Can the Clever Cup save you money? If you regularly buy hot drinks when you’re out and about, a reusable cup could help you save money on your purchases. An increasing number of high street coffee chains have started to offer discounts if you bring in your own cup from home. 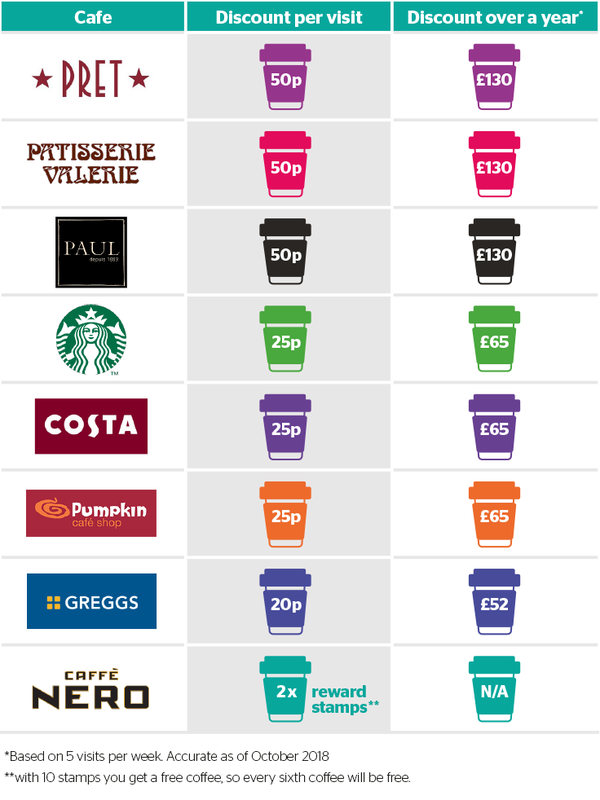 The savings can add up over time and our own analysis revealed that a reusable cup or travel mug could save you could save up to £130 over the course of a year. The table below shows how much you’ll save at different chains over a year, based on buying five drinks a week. Pret a Manger, Patisserie Valerie and Paul offer the biggest annual savings of £130. If you bought handcrafted hot drinks from Costa alone, the Clever Cup could save you around £65 a year. To claim back the cost of your Clever Cup from Costa, you’ll need to make 19 visits to a Costa store. How does the Clever Cup compare? 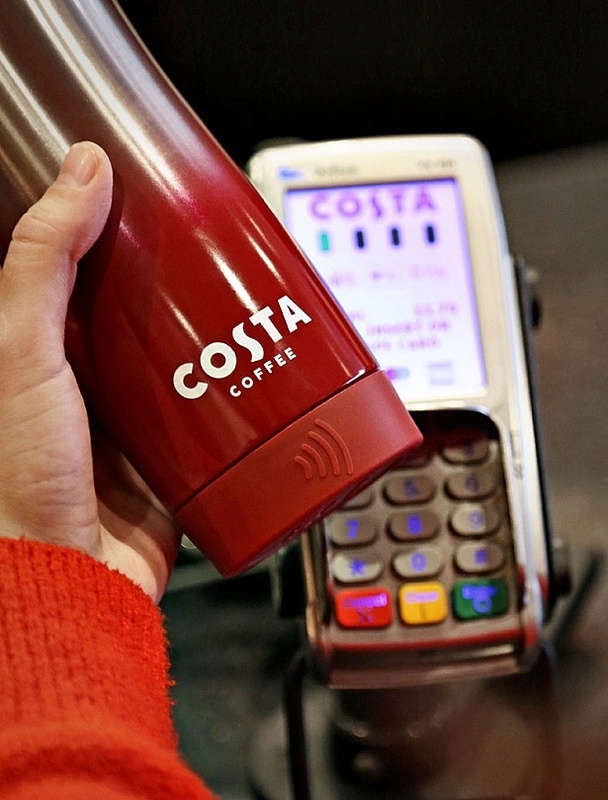 While Costa is the first UK coffee shop to offer a contactless cup, several other coffee shops have reusable cups for sale, including Starbucks, Caffe Nero and Pret a Manger. Exclusive Which? research has revealed the best reusable coffee cups and travel mugs available on the market right now. Members can log in to view our recommendations and see how the Clever Cup compares. If you’re not yet a member, sign up to Which? for access to this review and all of our others. What happens if your Clever Cup is lost or stolen? You can’t trace your Clever Cup if it gets lost or stolen but you can block payments immediately through the bPay app. Barclaycard will immediately prevent further transactions from taking place using your cup and you’ll have to buy a new one. If you suspect that fraudulent transactions have been made using your cup, bPay will refund the suspicious transaction(s) while it investigates what happened. If they find your cup was not used fraudulently, the refund will be reversed. bPay by Barclaycard is a type of contactless payment technology that is managed through the bPay app. It works like a prepaid account that you can top up using a Visa or MasterCard debit or credit card. Currently, bPay offers a range of devices that use bPay technology to allow you to pay, including standalone wristbands, fobs and wristbands for watches or fitness trackers. Whichever bPay device you use, you’ll be able to make contactless payments of up to £30. Is this the future of paying? Attitudes towards contactless payments have changed significantly since they were introduced in 2007. In 2017 alone, there were 5.6bn contactless payments made, an increase of 97%, according to UK finances. More than a quarter of UK shoppers are open to the idea of making contactless payments with wearable devices, according to data from MasterCard. In a survey of more than 50,000 people across nine European countries, including the UK, the payment giant found that 26% of customers are interested in making payments using smartwatches, rings and even bracelets. While the Clever Cup offers the chance to pay without having to reach for your wallet or phone, there are other factors to consider. The bPay chip is not waterproof so you’ll need to take extra care when washing your cup. If you’re prone to forgetting or losing things, it’s worth thinking twice about getting the Clever Cup or any other wearable contactless device. While it’s easy to block further payments being made from your device, it could be costly if you have to keep replacing them. For more information, check out our guide on new ways to pay where we take a look at different types of payment including contactless cards, Apple Pay, Google Pay and Samsung Pay.